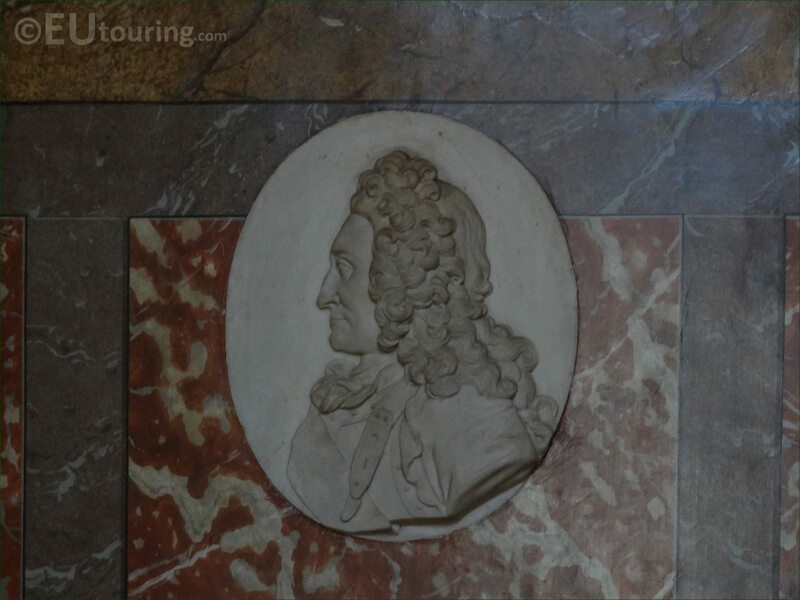 We were in the Eglise Saint-Roch, which is located in the 1st Arrondissement of Paris, when we took these high definition photos showing a medallion sculpture dedicated to Claude Francois Bidal, Marquis d'Asfeld. This first HD photo shows a medallion style sculpture, which was designed to depict Claude Francois Bidal, Marquis d'Asfeld and unfortunately, there are no records as to who produced this, yet it can be found in the Eglise Saint-Roch in a chapel called La Chapelle des Monuments, which is to the right hand side of the church as you have entered from the Rue Saint-Honore. Now here you can see the plaque located underneath the medallion sculpture stating that Claude Francois Bidal, Marquis d'Asfeld was born on 2nd July 1667 and died on 17th March 1743, and pursuing a military career, he played a major role in the War of Spanish Succession, fighting in the Battle of Almansa and the Siege of Barcelona, being made Marquis d'Asfeld en Castille by King Phillip V of Spain after the war had ended. 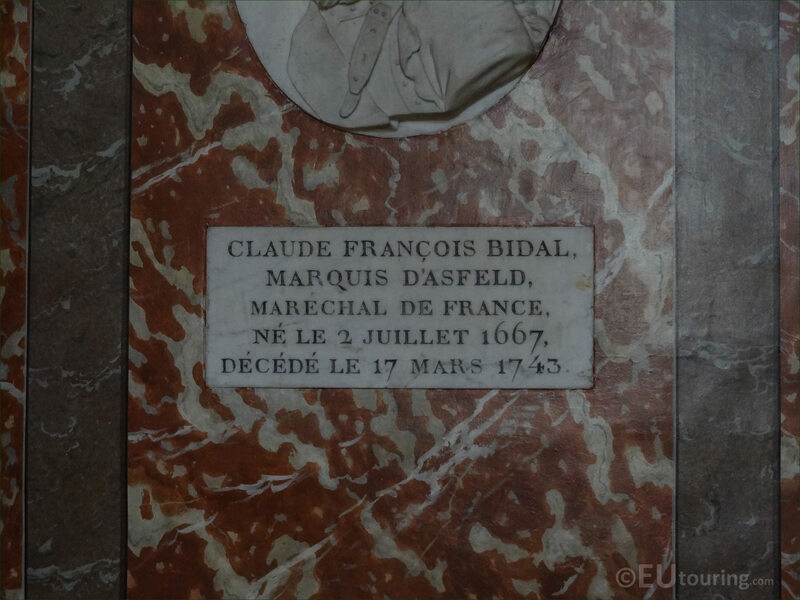 You will also notice that the plaque states Marechal de France, and Claude Francois Bidal was made a Marshal of France in 1734, later on in his career, nine years before he passed away in Paris and was buried in the Eglise Saint-Roch.